The 72nd Motocross of Nations saw the famous annual competition return to the United States for the first time since 2010 and for the third occasion this century. Red Bull KTM flew to Michigan and the revered RedBud circuit almost in full force with Jeffrey Herlings and Glenn Coldenhoff ultimately ruling the races for Team Netherlands, Tony Cairoli pushing Team Italy to another podium appearance and MX2 World Champion Jorge Prado earning MX2 class victory for Team Spain as well as the Ricky Carmichael Award as the best young rider. The facility was full of 81,700 hardy spectators who braved rain, damp and mud through the weekend to see Team France own the competition for the fifth time in a row. Tony Cairoli won the MXGP Qualification Heat by a comfortable distance on Saturday and was almost upstaged by teammate and MXGP World Champion Jeffrey Herlings who recovered from a first turn crash and last position to eventually reach third place. On Sunday Cairoli entered the opening corner too fast and fell, causing a pile-up but was able to recover good points for Team Italy by riding back to 6th. 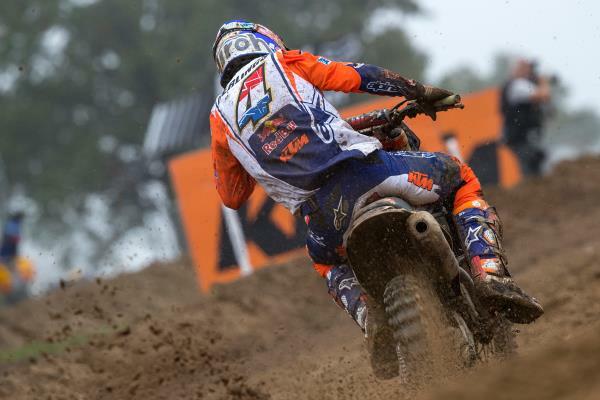 Herlings moved up from 3rd position to take control at mid-race distance and grabbed the chequered flag. In the second moto for the MXGP class the two KTM racers faced the other 450s of the Open category and a rampant Glenn Coldenhoff. 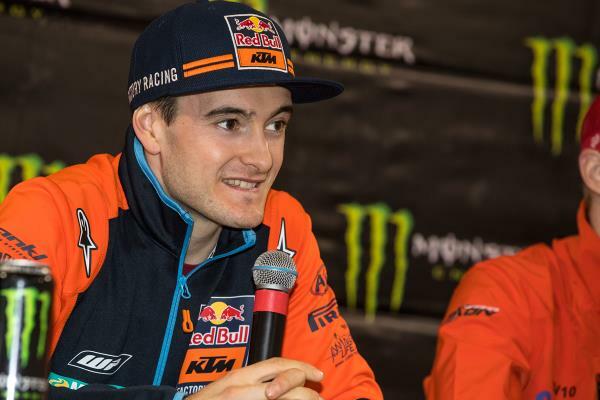 Herlings was second to his teammate and won MXGP thanks to his 1-2 scores. The Dutch squad would fill the third step of the rostrum after MX2 rider Calvin Vlaanderen could not start the final sprint with an eye problem. 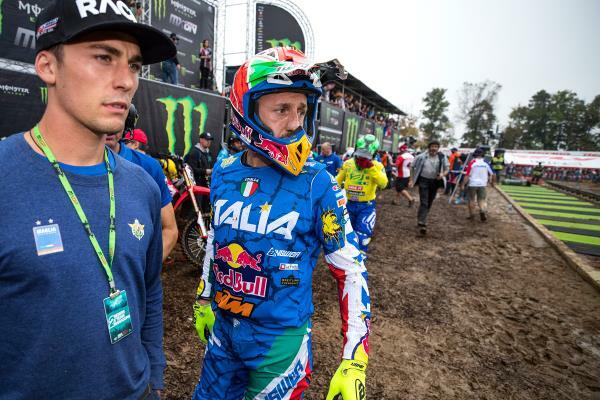 Cairoli circulated with compatriot Alessandro Lupino and his 4th position on the track brought the Italians to within two points of eventual winners Team France. Tony was 3rd overall in the MXGP competition. Jorge Prado made a perfect start in the opening race. The Spaniard fronted Gautier Paulin and Jeffrey Herlings and although he could not resist the bigger 450s for the entire duration his 3rd position meant he was the first of the MX2 class through the deep mud. The world champion then repeated his 3rd in the second moto. The 3-3 allowed him to classify first in his division and assist the Spanish team to 8th in the final list. Glenn Coldenhoff was produced his best and most emphatic performance of the season. 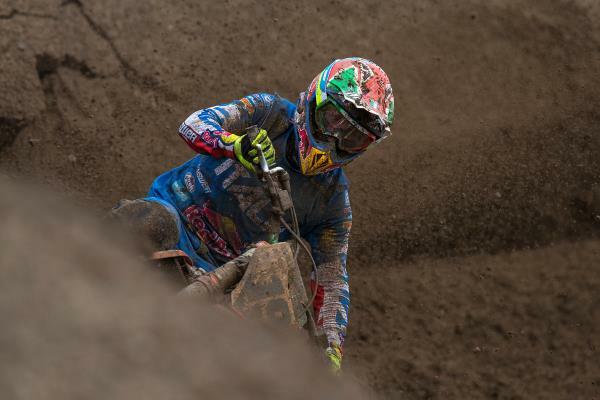 The Dutchman found the perfect combination of starts and feeling around the rough and sandyish soil to streak clear of the field in the first moto and then duplicate his uncatchable form in the second. Even Herlings was powerless to defy #259’s advantage. Glenn was a clear winner of the MX Open class. 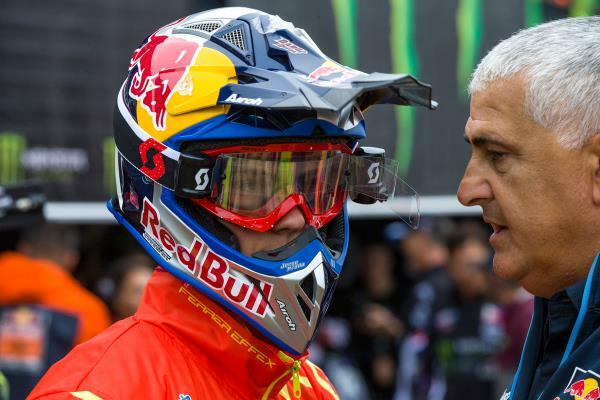 With the last MXGP of the year in Imola and the Motocross of Nations taking place within a week the competitive season came to a close for Red Bull KTM. 2018 has been an epic campaign with both MXGP and MX2 titles and second positions confirmed with the KTM 450 SX-F and KTM 250 SX-F motorcycles. Success at RedBud rounded-out a memorable year.